Override to stop and clean up link as needed. 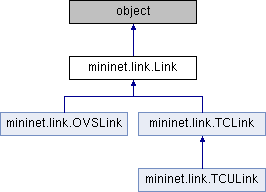 Return link status as a string. A basic link is just a veth pair. Other types of links could be tunnels, link emulators, etc.. Create veth link to another node, making two new interfaces. Construct a canonical interface name node-ethN for interface n.